As a gift to the Vatican, the Knights of Columbus embarked on a building renovation that would become not just an homage to St. John Paul II’s life and work, but also a place of worship that is both a pilgrimage and cultural education. 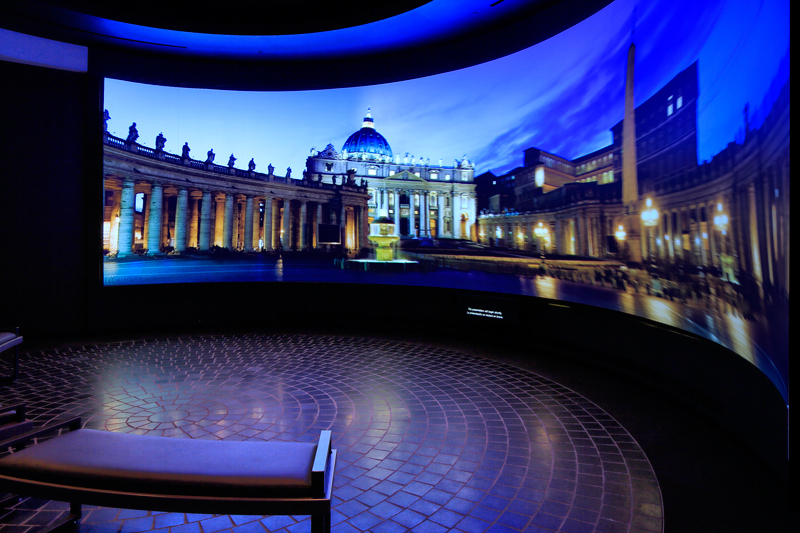 The Knights engaged internationally recognized museum planning and design firm Gallagher & Associates to tell the story and preserve the memory of St. John Paul II through A Gift of Love: The Life of St. John Paul II, a 16,000 square-foot permanent exhibit, which opened July 1, 2014. 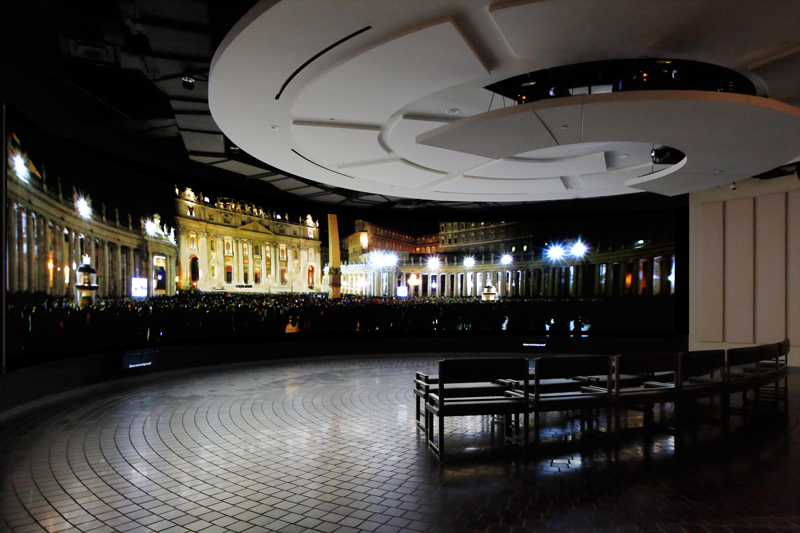 As soon as visitors step into the opening theater, they are transported to Vatican City, complete with cobblestones in the same pattern as St. Peter’s Square, the large plaza in front of St. Peter's Basilica. This 180-degree theater features a screen that measures 12 feet tall and 68 feet wide. 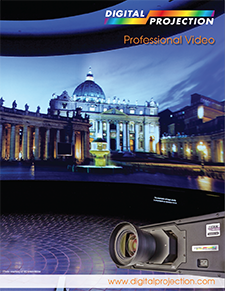 That’s massive display is paired with five Digital Projection Titan WUXGA 3D projectors. There’s also seating in the center of the room, so visitors can take in the sights and sounds, which cover St. John Paul II’s early life, from his birth and the moment he decided to dedicate his life to the church, through his rise to the papacy of the Catholic church.